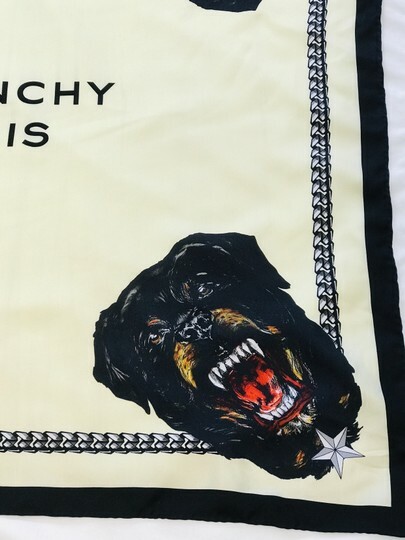 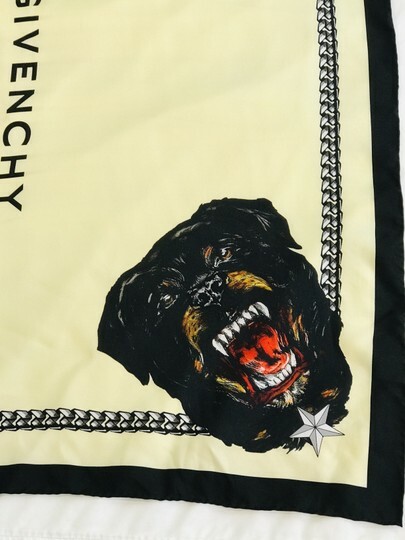 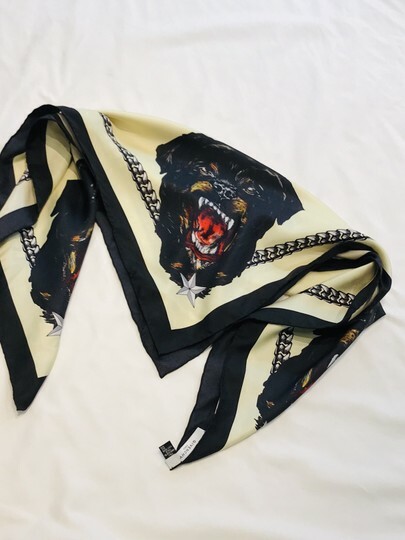 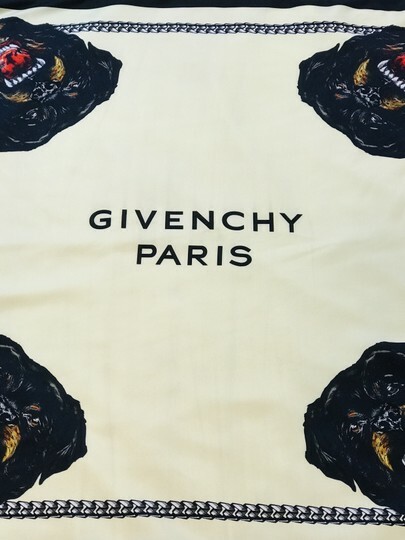 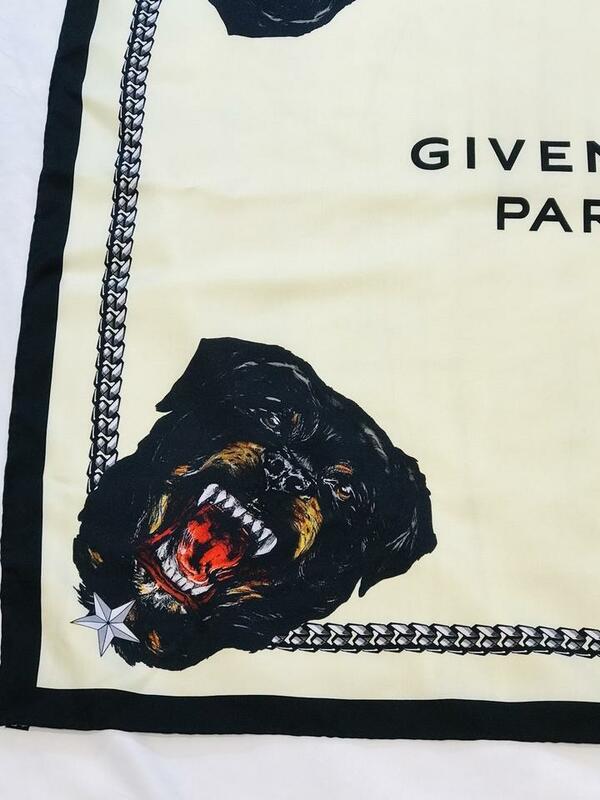 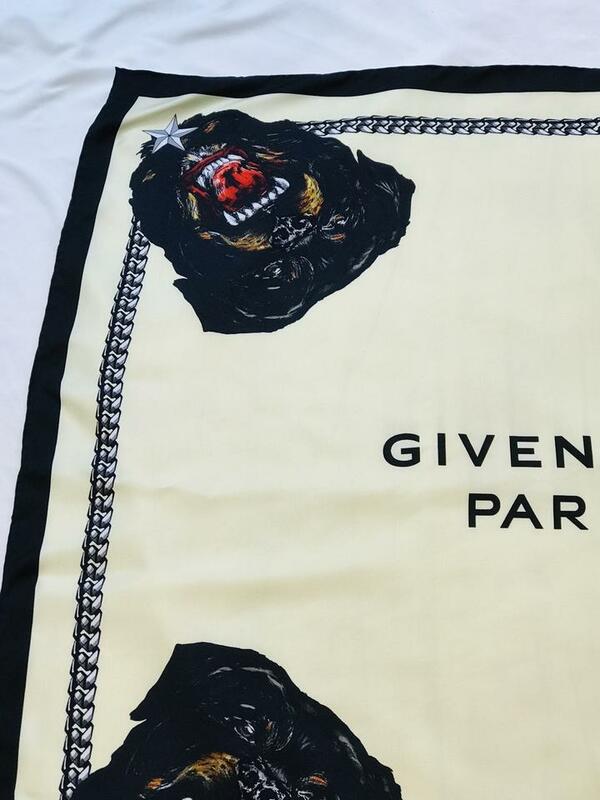 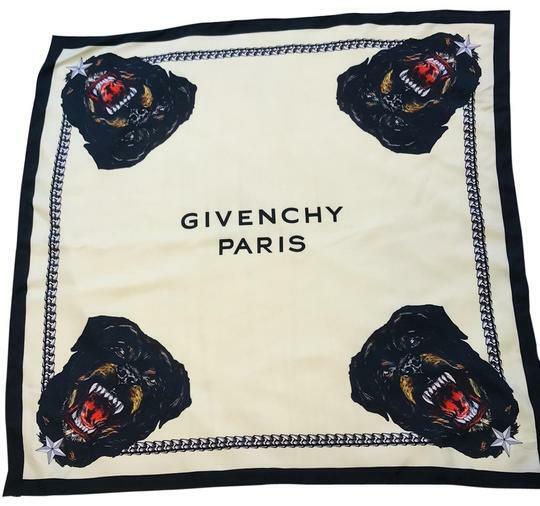 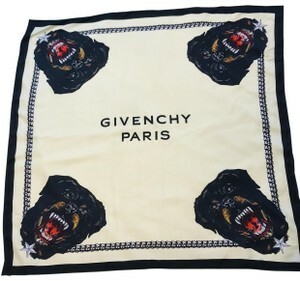 Yellow and black multicolor silk Givenchy scarf with printed pattern throughout and finished edges. Condition: Very Good. 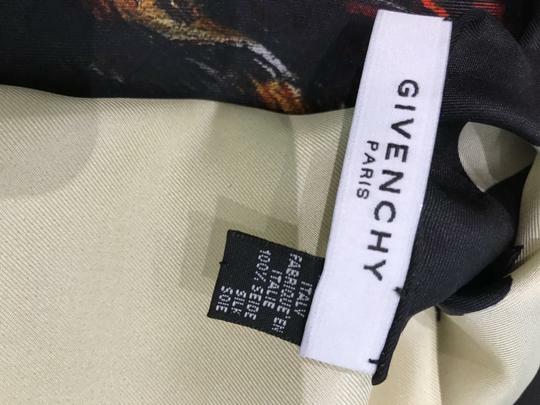 Minor wear throughout fabric.